It's been a while since I've read any dystopia YA sci-fi! And I'm glad that when going back, #allthebookreviews decided on this one! See what we thought below! Big thank you to Harper Teen for our copies in return for our honest reviews. When all hope is gone, how do you survive? Before the war, Eden’s life was easy—air conditioning, ice cream, long days at the beach. Then the revolution happened, and everything changed. The Wolfpack has taken over the earth and all its resources. Eden has lost everything. Alone and basically a drone, with much patience, she lives her days out.... making sure she's not noticed.. waiting for any moment to open up for her to run and escape. Getting out isn't as easy as just running though, there are landmines to consider, not to mention the guards with their guns. An unexpected event affords her the opportunity to escape, and she does - picking up others (not by her choice) on the way. Destination: Sanctuary Island. She doesn't know what to expect and upon meeting others there who are also against the Wolfpack, hope sparks... but then when one of them goes missing, they go off in search of her. The jungle is full of new, lethal discoveries. Is what she finds at the end worth the journey to get there? It's been a while since I've read any dystopia, sci-fi, YA... and I'm thrilled that when I did decide to venture back, that it's with THIS BOOK! Strictly told through Even's POV, this book starts a couple years after the Wolfpack War - Zero Day. Pure action from the first page to the last, the author doesn't give you much room to breathe. Who can you trust when the one person you think you can trust tells you after a certain point, you can't, and shouldn't? WHAT? We never really see any flashbacks - it's just known that life was basically as we know it until all the above happened. As I was reading, the only person I could trust was Eden and half the time I was just as confused as she was. I love the author's reference to Robert Frost and there are distinct small chapters peppered throughout that read like poetry. I wish I could quote an entire chapter for you but you'll just have to trust me on this. Her writing is absolutely gorgeous and I love all the descriptions. I could've done without the insta love but hey, I knew what I was getting into when I picked this book up. Who cares?! Let them love! I sincerely hope that the ending is leaving room for a sequel... I would love to know what happens from here. Need some futuristic sci-fi dystopia YA in your life? Then you absolutely should pick this one up! "Your mind is stronger than your circumstances"
When it comes to dystopian novels it can always be a hit or miss for me. 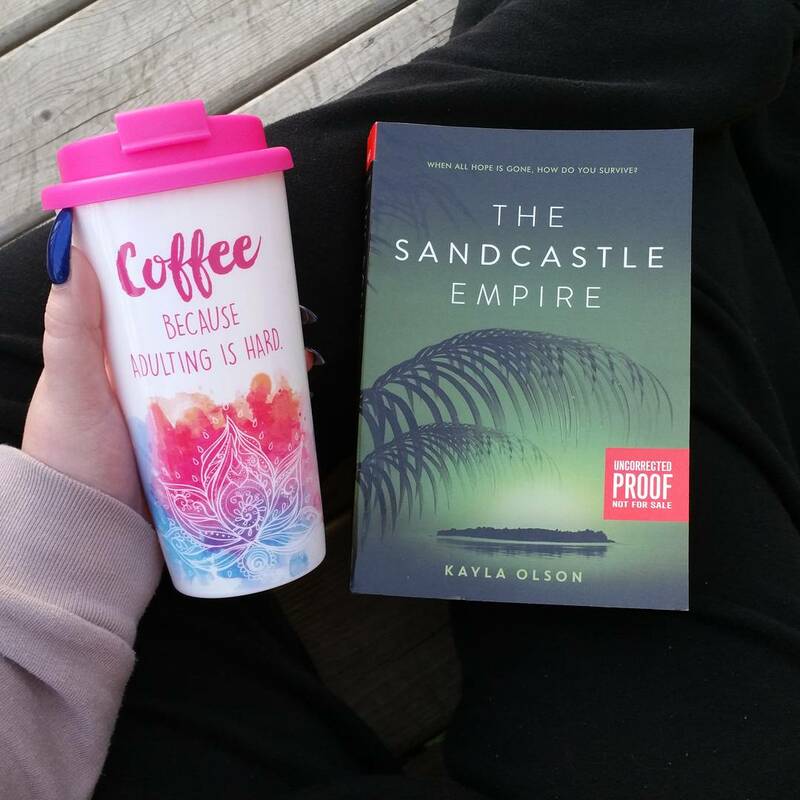 THE SANDCASTLE EMPIRE by Kayla Olson was definitely a hit! When you see the tagline, "When all hope is gone, how do you survive?" how could I not be instantly intrigued. We follow Eden - she had an easy life filled with days at the beach, treats, and other luxuries that we enjoy today. That is, until the revolution. The Wolfpack is now in control of the world and it's resources. She has lost everything to them - her home was destroyed, friends and family killed, and they've even imprisoned her. The only thing that is keeping her hope alive is knowing there is one place left on Earth that is neutral ground - Sanctuary Island. The only problem? She has to somehow escape and avoid the landmines and armed guards. After a series of events, Eden escapes and along the way she comes into contact with others that are resistant to the Wolfpack. When one of Eden's new found friends goes missing, her small slice of hope begins to fade. She and the others must venture into the jungle to find her. Little do they all know, the jungle holds new traps, horrors, and deadlier obstacles for them. Is Sanctuary Island more dangerous than the life she just left? This book is told completely from Eden's perspective. It's always fun to have a female main character and Olson does an incredible job developing Eden for the reader. Olson takes you on a nonstop thrill ride in this story - always something going on! Whether it's escaping the Wolfpack, fighting for their lives, or the constant worry of who they can trust, this book makes it hard for you to catch your breath! As with most YA books, there is an element of romance thrown in, but it's definitely not the main focus of the story. With this taking place a few years after the Wolfpack War happened (also known as Zero Day) and don't get many flashbacks throughout the book. It's definitely alluded to that life before the Wolfpack was like how we live today - modern technologies and luxuries. 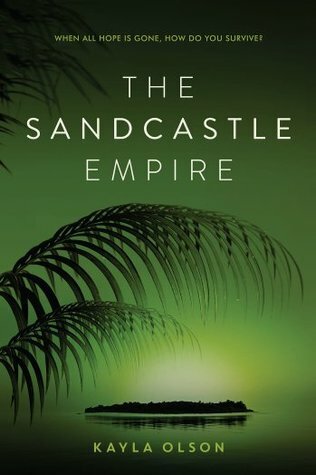 It would be so interesting to get a prequel to this book. Get more information about the events leading up to the Wolfpack War and the revolution. I'd even love to have a sequel with more information! If you're a fan of any kind of dystopian or sci-fi YA novels, then this is one you need to pick up! It was definitely a unique action packed novel with a side of romance. Definitely a great summer read! I give this one 5/5 stars!